April showers may very well bring May flowers, but spring’s warmer temperatures and wet weather can certainly dampen one’s health. Steady rain, sopping wet soil and higher temperatures are part of a torrent of factors that can ensure mold spores in your home are as abundant as those colorful little crocuses in your garden. 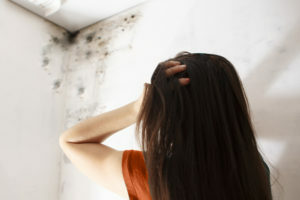 It’s the time of year when mold that may have been dormant over the winter tends to come to life. All mold needs to grow is moisture, warmth, and any organic surface (like drywall). If you had a leak from an ice dam or pipe break this winter, you should be on high alert. Chances are there’s a mold colony in full bloom. Have your home tested at the first sign or scent of a problem. 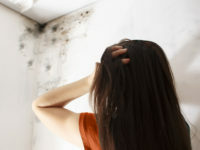 Mold – whether toxic or not – exacerbates seasonal allergy symptoms and causes allergic reactions such as runny noses, itchy eyes and skin rashes, along with more serious asthma attacks in otherwise healthy people. Seen or unseen, mold has a way of making people feel lousy. 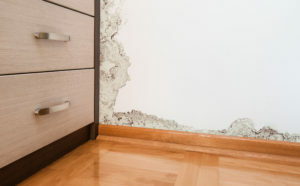 Moisture buildup can lead to mold. 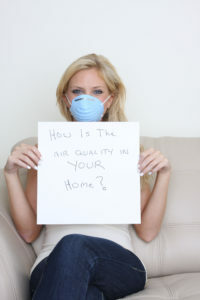 But just as it can affect your health, so too can it affect your home. Mold grows on floors, carpeting, walls and furniture – and can burrow behind drywall, under carpets and beneath floorboards. But do not fret. Once you’ve had your home tested to identify or rule out possible mold infestations, there are ways to prevent, or greatly reduce, the odds of unwelcome mold moving into your home. First and foremost, try to keep you home dry and ventilated. Clear your gutters of leaves and rotting debris, as gutters are a fertile place for mold to grow. Not putting wet shoes or damp clothing in your closets. Let them dry fully first to avoid mold growth. If you’re still unsure, its best to consult a professional who can test your home, identify the source of any mold, and if needed, come up with a remediation plan.